16 years ago Amanda Palermo met yoga when she walked into her first Ashtanga yoga class. 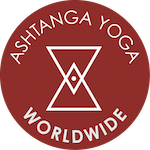 Initially drawn to Ashtanga’s elegance, she was quickly fascinated by the practices unyielding challenges. However, a move took her away from her Ashtanga practice. She spent many years exploring various styles of yoga, following her intuition along a path that’s inspired in her an ever growing curiosity and passion for the practice. Amanda is a 200 hour E-RYT through Corepower Yoga in Southern California. The last few years have been spent teaching and sharing yoga in south Florida. She has now made her way back to her Ashtanga yoga roots and has recommitted herself to the practice. Her teachers are Greg Nardi, Angelique Sandas and when she visits her native Southern California, David Milliotis. Amanda’s passion is supported each day by her greatest teachers: her husband and son. Anisha Durve is a Doctor of Oriental Medicine, Acupuncturist, and Ayurvedic Practitioner with 20+ years and a meditation instructor with 27+ years experience. She works at Thermae Spa in Fort Lauderdale. For more information visit www.Anisha.Guru. She is a 2001 graduate of the Ayurvedic Institute after spending 4 years training under her guru Dr. Vasant Lad in New Mexico as well as his clinic in Pune, India. Anisha has co-written a clinical textbook on acupressure with him titled Marma Points of Ayurveda and does trainings nationwide on marma therapy through her school- Marma Institute of Ayurvedic Acupressure. www.marmatraining.com She also launched one of the first Ayurveda programs for a U.S. hospital from 2012-2014. Anisha is one of the first 200 hour Ayuryoga® instructors from the Ayurvedic Institute in 2014 and has completed 500 hours of training at Vivekananda Yoga Kendra in Bangalore, India’s premier yoga research institute in 2004. She is also a certified Relax & Renew® trainer with Judith Lasater since 2006, a certified yoga nidra teacher since 2014. Her teaching style blends restorative yoga, meditation, pranayama, chanting, and yoga nidra. Emily Tull was introduced to yoga in2012 when she walked into a class at a gym. At first she was drawn to the physicality of the practice, but it didn’t take long for her to realize that yoga is so much more than a workout and she began to experience the mental, spiritual, and emotional benefits of the practice. Emily joined a local yoga studio in her hometown of Brookfield, Wisconsin and in 2013, completed a 200 hour teacher training program. She spent the next 3 years teaching at various locations in her hometown. Emily discovered Ashtanga yoga in 2016 when she took her first Mysore style class. She immediately fell in love and realized this was the practice she had been looking for. Less than a month later, Emily moved to Fort Lauderdale and found Ashtanga Yoga Worldwide as it was just opening. She became a part of the work study team right away. She is eager to continue to learn and grow as a teacher and practitioner. You can find Emily teaching guided Ashtanga Flow classes. Greg Nardi has studied yoga and eastern healing arts extensively since 1996. Since 1999 he studied at the KPJ Ashtanga Yoga Institute in Mysore, South India. In 2004, Greg was authorized to teach by Sri. K. Pattabhi Jois. In 2009 he was granted authorization level 2 by Sharath Jois. Greg is committed to teaching the ashtanga method, which has been such a blessing in his life. He is an autodidact who perpetually studies Sanskrit chanting and indian philosophy. He counts Georg Feuerstein, Dr. M.A. Jayashree, Narasimha, and Vyass Houston amongst his influences in this field. Lisa Dean started practicing yoga during her second pregnancy in 2000 and began a more intensive Bikram style practice in 2009. Her yoga path continued with Baptiste vinyasa teacher training in 2011 (E-RYT 200 hour certified). After exploring many styles of yoga practice, Lisa was introduced to Ashtanga yoga in 2012. She earned her 500 hour RYT at Dave’s Ashtanga Authentic Yoga Teacher Training in Scottsdale, AZ. Her other certifications include Hot yoga, Yin yoga and Yoga Wall. Lisa is committed to her Ashtanga yoga practice and is grateful for all her teachers over the years including Lisa Schrempp, Greg Nardi and Amanda Palermo. Yoga is her chosen lifestyle to physical, mental and spiritual healing – basically how to cope with the roller coaster of life! Lisa teaches yoga with the intention of helping others find their own path where ever that may lead. Nzingah Oniwosan is a Haitian-American 200 registered yoga teacher and holistic health consultant who helps people explore and cultivate their yoga practice so they can find balance physically, mentally, and spiritually. Her goal is to empower everyone she interacts with, to own their practice and see it as a personal journey. Nzingah has a background in Bikram, Restorative, Vinyasa, Kemetic, and Ashtanga Yoga. She has taught yoga nationally and internationally in places like Haiti, Jamaica, and Costa Rica. She is currently in Ashtanga Yoga Worldwide apprenticeship, one-year program designed to refine one’s practice and skills as a student and teacher. Nzingah has been featured in Mantra Magazine, Veg News, and Heart and Soul magazine to name a few. In 2015 she was one of Legacy Magazine “40 under 40” honorees. She also is a contributor to SivanaEast.com and Gaiam.com. Her most recent projects include YesBabyILikeItRaw.com a food and holistic lifestyle blog that inspires people to tap in their “RAW” power to be a better version of themselves. She shares articles, interviews, workshops, and retreats all over the world to help them accomplish this. She has committed to changing the landscape in Haiti in a transformative way, as the co-founder of Impact Hub Port-au-Prince, a co-working space for social entrepreneurs to grow, thrive and connect. Silvie Gausman is a native of Czech Republic and holds a Degree in Art History from Ostrava College. After teaching Hatha Yoga and Power Yoga for a few years , she eventually found her path in Ashtanga Yoga. For the last eight years Silvie has been deepening her knowledge of Ashtanga through the studying of the anatomy of the human body, the energy channels (bandhas), the breath control (pranayama) and the importance of the poses (asanas). She is a certified Yoga teacher since 2004, and has trained as an Ashtanga teacher with Kino MacGregor and Tim Feldman in Miami. She has worked with Lino Miele in Milan, Italy, and attended workshops with David Swenson and Andrey Lappa in Miami. She has been to Mysore, India twice to study directly with Saraswati and Sharmila of the Jois family. She also learnt different meditation techniques, studying activation of energy centers and work as an Intuitive Life Coach. Silvie’s teaching is particularly effective for individuals who understand the importance of Yoga not only as a lifestyle but also discipline.